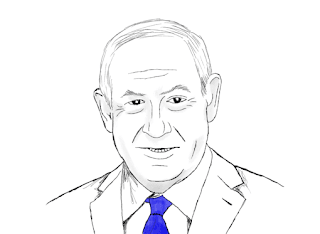 Benjamin Netanyahu is an early version of the nationalist populist leaders that have come to power in country after country in recent decades. He has an acute sense of who holds – and does not hold – power and how to manipulate it. No wonder he gets on well with Donald Trump and Vladimir Putin. His political approach has not varied much since he first came to prominence as an Israeli diplomat in Washington during the Israeli invasion of Lebanon in 1982 when he showed his skills as a propagandist in defending the Israeli war record, particularly during the bombing of Beirut. Speaking good American English, he knew exactly what to say on US television channels and his skills in dealing with American politics and the media have never deserted him. When he eventually is replaced by another prime minister, a big difference will be that his successor may be less inclined – and will certainly be less capable – of becoming a player in US politics. Netanyahu has always been astute politician, but his public stance is not always easy to interpret. One point to be made about his belligerent rhetorical style that helps explain his political longevity is that he commonly exaggerates threats from a host of supposed mortal enemies such as Iran or the Palestinians, but he has been very averse to going to war. Possibly his experience during the war in Lebanon in 1982-4 made him particularly careful about this. Military action when it takes place is in the shape of air, rather than ground, attacks. This helps explain why “Bibi” is now likely to become Israeli prime minister for the fifth time after the election that concluded yesterday. 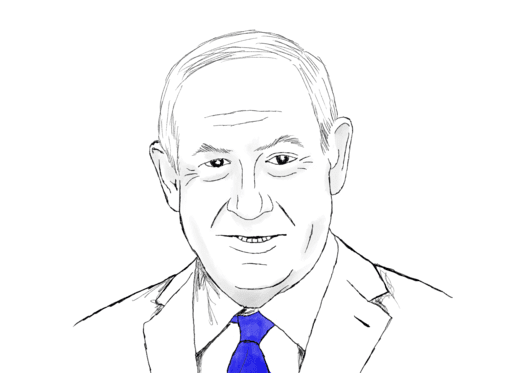 Israeli voters like leaders who talk tough, but not those who get them engaged in long or, as is the more common experience, inconclusive wars. Even during the peak of Netanyahu’s verbal assaults on Iran as a threat to Israel, there has been a certain caution in Israeli military action in Syria and Lebanon. The most important election that Netanyahu won was in 1996 against Shimon Peres, after the assassination of Yitzhak Rabin the previous year. He played along with the Oslo Accords, but his electoral victory was a decisive defeat for the Israelis who supported them. He has been accused of shifting the agenda from the two-state solution to promising the annexation of Israeli settlements on the West Bank during the present election campaign. But the so-called two-state solution was always something of a charade enabling foreign diplomats to pretend that there was a “peace process” that was dead and buried. Likewise, moving the US embassy to Jerusalem and the US recognition of the Israeli annexation of the Golan Heights do not really change a balance of power that is wholly in Israel’s favour. On the other hand, the Palestinians will still be there in Israel, Gaza and the West Bank; Israel never achieves a final victory. Netanyahu has done nothing to change this – but then neither did previous Israeli leaders, whatever they claimed they were doing.